Milwaukee & Wisconsin's Premier DJ for Weddings, Private Parties, Teen and Corporate Events - Milwaukee and Wisconsin's premiere DJ for weddings, corporate events, private parties and teen events. Michael James Grassman, A.K.A. DJ Mike J, has provided the best music with the highest quality sound and lighting for years to countless satisfied clients in Milwaukee, Madison, Chicago and all throughout Wisconsin and Illinois. 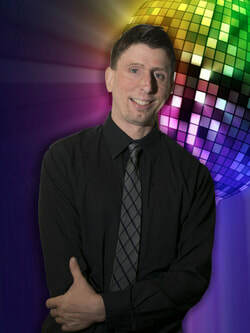 DJ Mike J works with you to make your event the absolute best it can be. As DJ Mike J, I will play exactly the music you want to hear. I also have the years of experience to know what your guests will also love listening to while providing a great variety of popular and fresh music. When you hire DJ Mike J for your wedding, private event, corporate function or any type of event needing great entertainment, you are assured to get the absolute most professional, dedicated and experienced DJ for the best price. Please visit the F.A.Q. 's portion of this site to view my personal guarantee and all the other little details I personally handle to make sure you get the very best service and make your event exactly what you want it to be. Fast Response! Get a quick reply using Facebook Messenger.